What is more merry than student power? The holiday season always comes and goes quick. 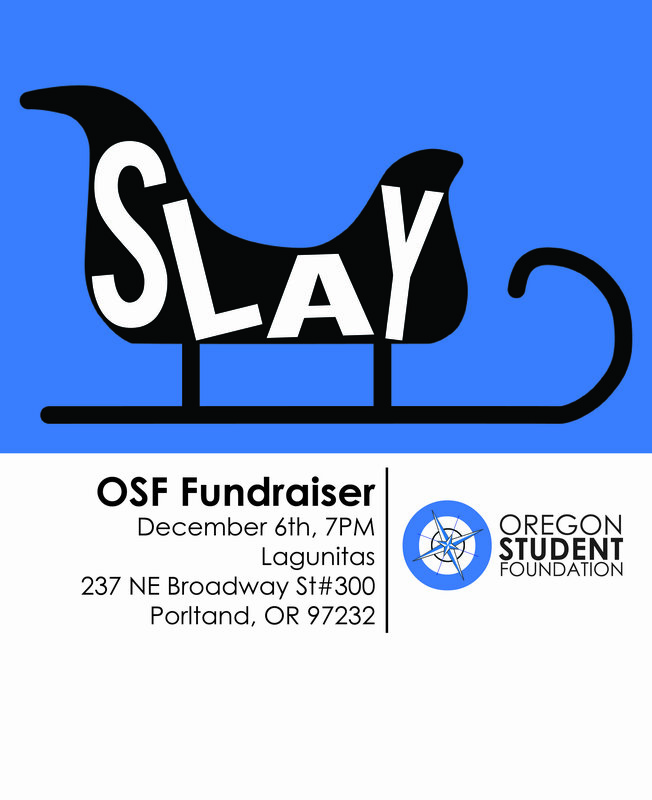 Make sure to get your ticket for the Oregon Student Foundation holiday party! With the holiday season being a time for giving, you can be sure your support of OSF will provide crucial resources for extremely important work. OSF works to provide Higher Education students in Oregon with leadership development opportunities that support their efforts in creating change for their communities. Currently, we are fundraising for our upcoming Vote OR Vote campaign, leadership development opportunities for students of color & lgbtq+ students, and our Unite the Vote program that works to specifically engage traditionally marginalized communities. To help students SLAY, we need your support. 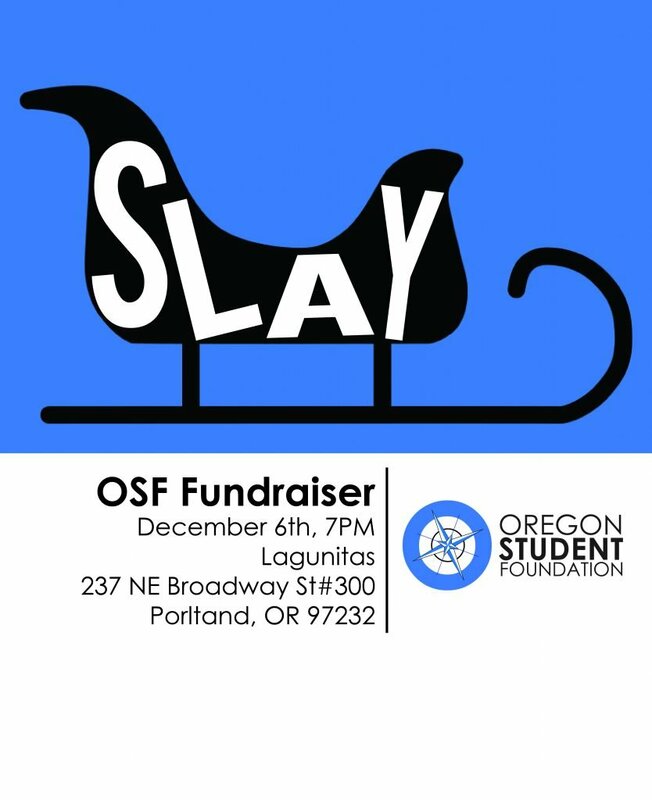 Come join us for a fun night filled with good beer and great company knowing ticket & drink sales will help support the important work the Oregon Student Foundation does. Make sure to purchase your tickets! We will be having an ugly sweater contest, so dig deep into your closets and find that perfect sweater that will set you apart from the crowd. Great prizes and bragging rights awaits the lucky winner of our ugly sweater contest!